If any single game reflects the huge growth seen in eSports in recent years it is Dota 2. When it comes to the biggest prize pools in competitive gaming, Valve’s multiplayer online battle arena is well ahead of the competition with potential winnings running into millions of dollars. If you want to bet on an eSports where the stakes are as high as they come, here at Master Mazuma we think there is truly only one option. While The International tournaments are undoubtedly the pinnacle of Dota 2 eSports, there are many other competitions held across the year which are well worth keeping an eye on. Among these is the Dota 2 Asia Championship, which is referred to in some quarters as The International of the East due to its scale and importance. 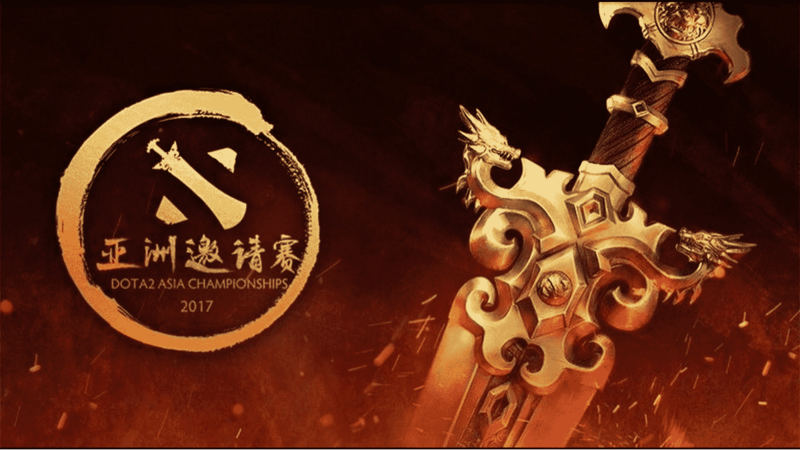 In this article, we are going to provide an introduction to the tournament, as well as a few top tips on issues to bear in mind when preparing your Dota 2 Asia Championship betting strategy. Organised by Perfect World, the Dota 2 Asia Championship – which has also been referred to as DAC and The Oriental – was first held in 2015 in Shanghai with teams competing for a share of a prize pool worth more than $3 million. While the competition was not held in 2016, it made a return in 2017 with 12 teams once again doing battle in Shanghai in an effort to be crowned champions. The latest competition’s prize pool of around $600,000 may have seemed modest in the world of Dota 2, but it did not impact on the quality and level of gameplay produced by competitors. Put simply, the Dota 2 Asia Championship is a thrilling tournament and well worthy of your time and wagers. How does Dota 2 Asia Championship work? If you are planning to get involved in Dota 2 Asia Championship betting there are a host of issues to consider, but one of the most fundamental is the structure of the overall tournament. Using the 2017 tournament as an example, the competition began with four invited teams joining several sides which emerged from regional qualifiers held across the world in the Americas, Europe, China, Southeast Asia and the Commonwealth of Independent States. The 12 final competitors were then split into two groups with a best-of-two round robin being held. While four teams advanced to the upper bracket, the rest went into the lower bracket. A double elimination format was next until the best two sides did battle in a best-of-five grand final. As mentioned earlier, the 2017 tournament’s prize pool stood at around $600,000, with almost $250,000 of that being presented to the winning side alone. The rest of the pot was then shared with the rest of the competitors in amounts determined by the final position in the standings. Of course, in Dota 2 Asia Championship betting, there’s more money to be made, but the size of the top prizes at a tournament, along with how popular it is indicative of the level of talent it’s going to attract. So, now that you know how the tournament works, you need to consider just how you will make decisions when it comes to Dota 2 Asia Championship betting. A good starting point is always to get to know the top teams which are set to do battle at the next event. The competition attracts all of the top talent involved in Dota 2 eSports, with the 2017 winners Invictus Gaming being among the best teams currently playing the game. Another name to watch out is Evil Geniuses, who are currently the highest earning Dota 2 team in history after securing more than $14 million dollars in winnings across their career. Some of the other major names in Dota 2 eSports include Wings Gaming, who won more than $9 million after beating Digital Chaos in final of The International 2016, and Newbee, who have also had a huge amount of success in recent years. It is not uncommon to see the same team names popping up in the final stages of Dota 2 competitions, so keeping an eye on these sides is definitely a great way to begin to get a feel for the eSport. However, that does not mean you should ignore the potential for upsets. As in any sport, shocks can happen in Dota 2 so do not underestimate the potential for up and coming talent to spring a surprise or two. By far the best way to monitor the current form of teams in Dota 2 is to watch coverage of tournaments, whether that is by attending local events in person or watching streams online. In the run-up to an event like the Dota 2 Asia Championships, this will allow you to see which teams are in good form and likely to go far when the big tournament comes around. Another useful tip is to take a look at performance statistics online to see where the strengths and weaknesses of specific teams and players lie. Is there something that a side particularly excels at or is there a potential weak link that rivals could expose? A little bit of analysis could go a long way when attempting to make an informed decision on Dota 2 Asia Championship betting. Finally, you should also keep tabs on the very latest news related to Dota 2 and the competitive gaming scene. With it being a team-based game, it is not uncommon for there to be roster changes which could affect the dynamic or chemistry of a side. Furthermore, behind-the-scenes issues between teammates can emerge and have an impact on the performance of a side, so do not disregard rumours of in-fighting or other problems. After all, they say there is no smoke without fire. While the world of Dota 2 eSports can be unpredictable, a little bit of research can make all of the difference when you are pulling together a betting strategy. With the biggest teams competing for a major prize, we believe the Dota 2 Asia Championship is one of the biggest dates in the eSports diary when it comes to both entertainment and potential for profit. For more information on Dota 2 Asia Championship betting, check out our specialist pages and explore the very latest odds on Master Mazuma.